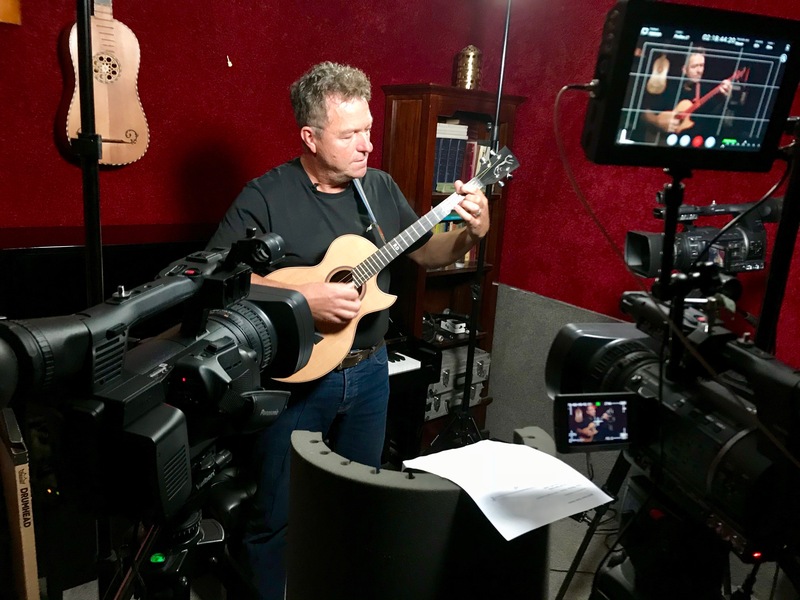 Better cameras, better lights and the beautiful little tenor guitar – Ian Chisholm’s Uffington Tenor – all conspired to make some great films to make up the series of ten lessons entitled Quick Start Tenor Guitar. 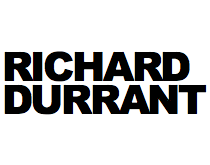 And after the gigs in Halesworth and Tunbridge Wells Richard spent a day in his studio with Paul Cartledge working on their Americana recordings. 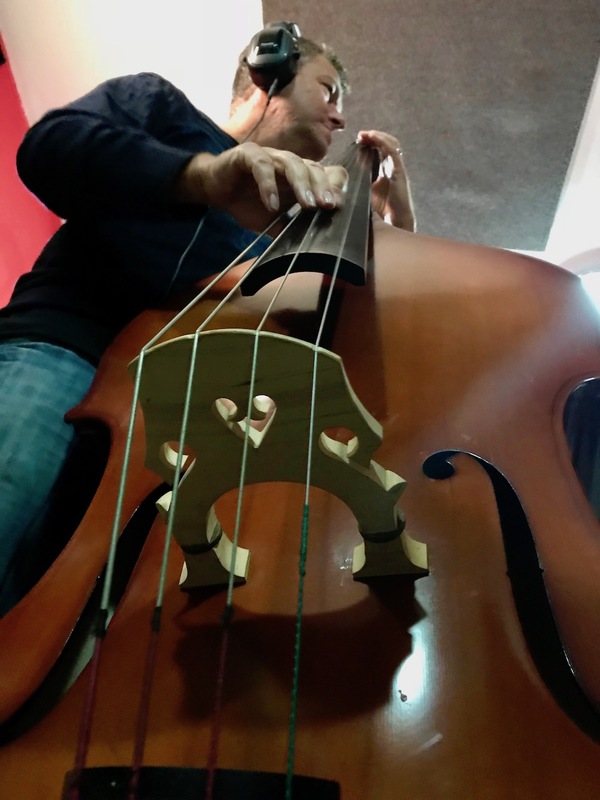 In addition to G and Tenor banjo, mandolin, acoustic guitar and his lovely old Gretsch Anniversary Richard persuaded his youngest son, Felix to lend his double bass. Then it was off to Wales for a concert at Theatr Clywdd in Mold. This included the official premiere of Richard’s new work Book of Spells which will be available soon on BandCamp alongside music from Stringhenge. 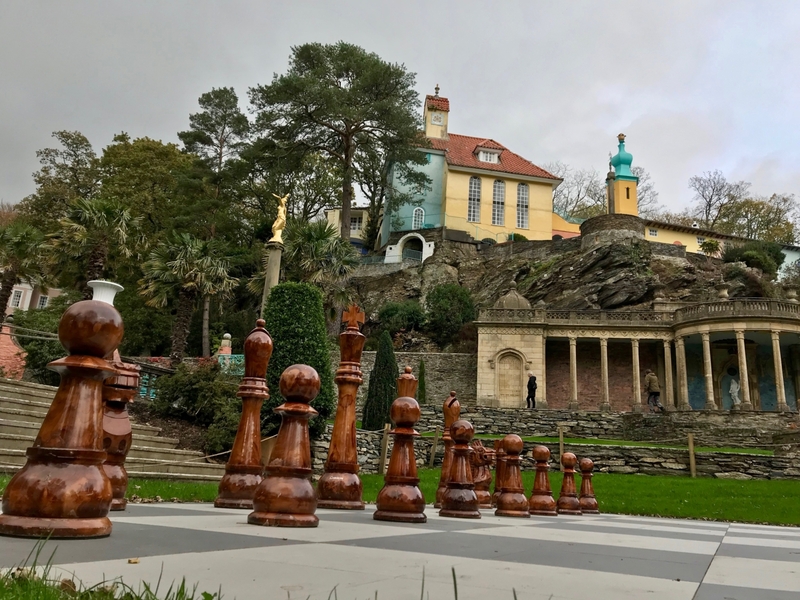 Next Richard and his family headed into Snowdonia for a wonderful week of Welsh sunshine including a solo recital in the Hercules Hall inside the ever magical Portmeirion – see the title pic of the giant chess pieces. 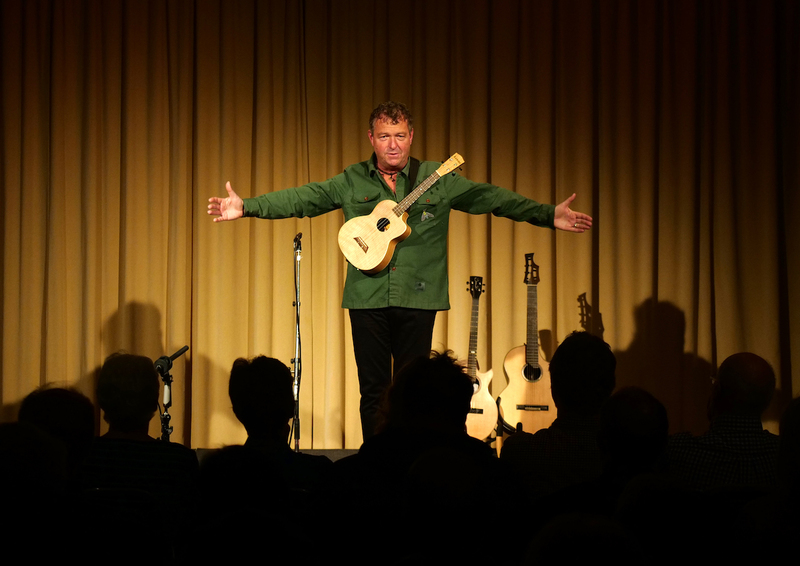 Following the interest shown by BBC 6 Music in the second half of the Stringhenge album – called The English Guitar Hymnal – Richard gathered together his band The Burning Deck for a special show at Ropetackle. Lastly, for all the Ukulele fans out there, Richard will be leading some Ukulele courses: Ground Zero for beginners and Circuit Training (for those already up and running) starting from 16 January at the Ropetackle Centre. What a great Christmas present a place on a course like this would be!